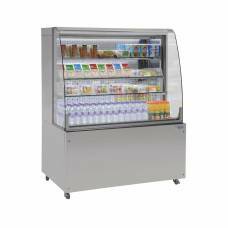 Illuminate, chill and display refrigerated food or drink with CED's elliptical shaped Designline self help cold multideck ( Rear Doors ). 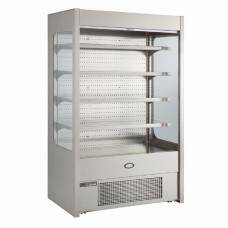 This energy efficient 3/1 Gn size refrigerated display chills by hydrocarbon refrigerant (r290) - a solution that's kinder to the environment and your budget. 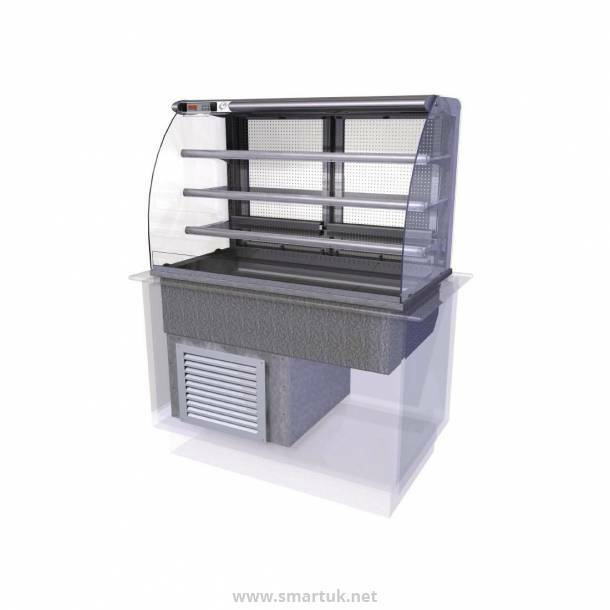 The rear loading multideck is designed for use in a free standing counter top and fitting the air grills supplied, provide the ventilation needed for the underslung refrigeration condensing unit. 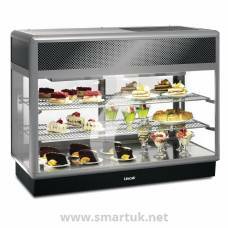 Toughened side glass protection provides protection to the customer side of the display. The display area features 3 no. 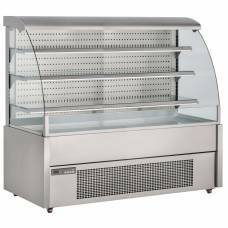 chilled toughened glass display shelves, adustable in both height and angle, providing increased cold product display area within a minimum footprint. 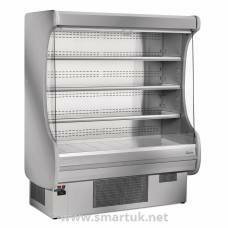 The front edge of each chilled shelf features a product stop and 40mm tall 'point of sale' display/ticket strip. The 3/1 Gn cold well area below the shelves provides further chilled merchandising. 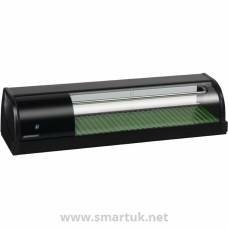 Product illumination is from diffused lighting in the elliptical profile gantry. 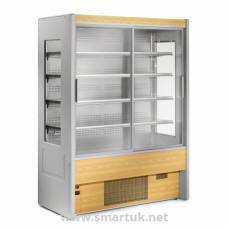 The gantry also houses an eye level digital temperature display and 'temperature lockable' control panel, to operator side of the display. 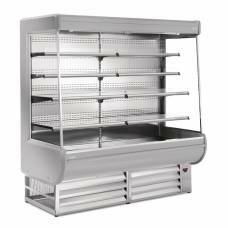 The multideck has 24 hour operation & holds food core between 2 - 5 deg. 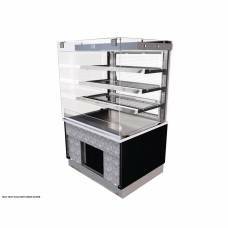 C. The display area has double glazed rear hinged doors and the self help superstructure is made from bright polished steel and alluminum elliptical profiles. Modular removable deck plates in the chilled multideck make for easier cleaning & an integral condensate water evaporator eliminates the need for site drainage. 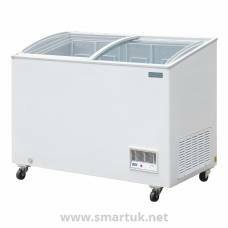 The display comes complete with air inlet grills, lifting kit and a 2m lead and plug top for installation. (1.73KW/13a/230v electrical supply ). 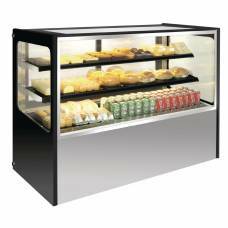 Part of Lancashire based CED Fabrications, Designline are now an established first choice in chilled, heated and ambient drop-in displays. 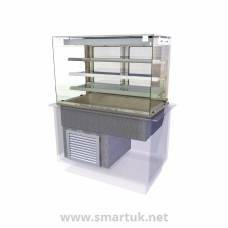 With the backing of CED, Designline have grown, innovated and developed tremendously and their products are seen in hotels, deli counters and canteens across the UK thanks to their eco-friendly technology and attractive styling.